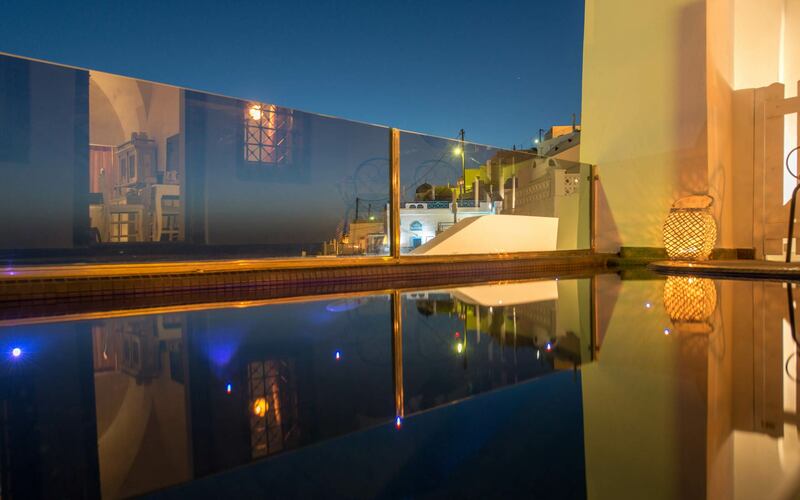 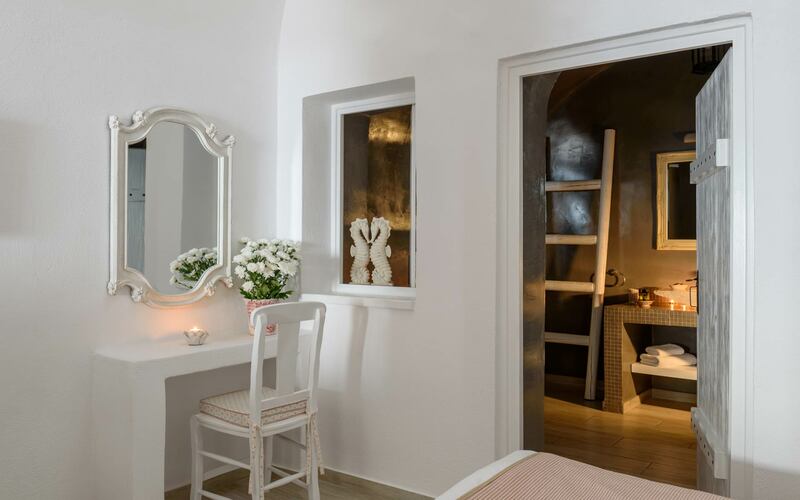 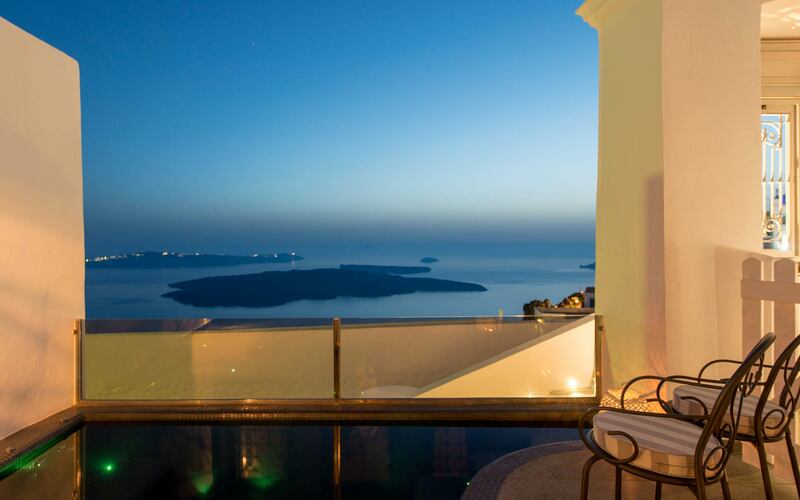 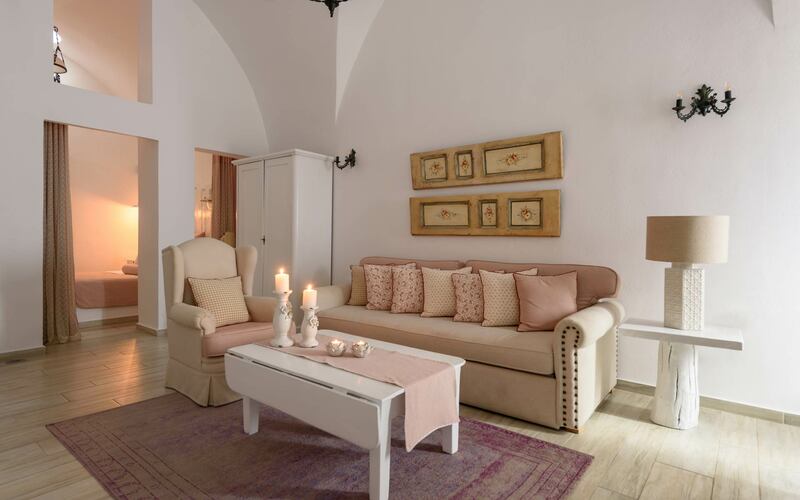 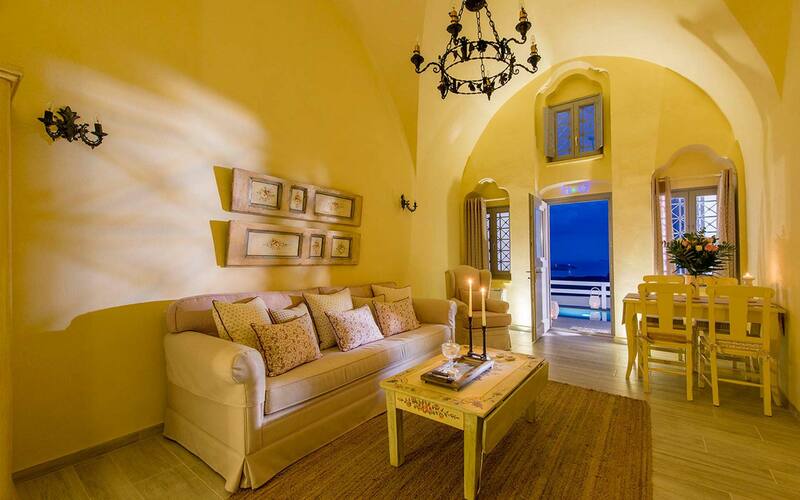 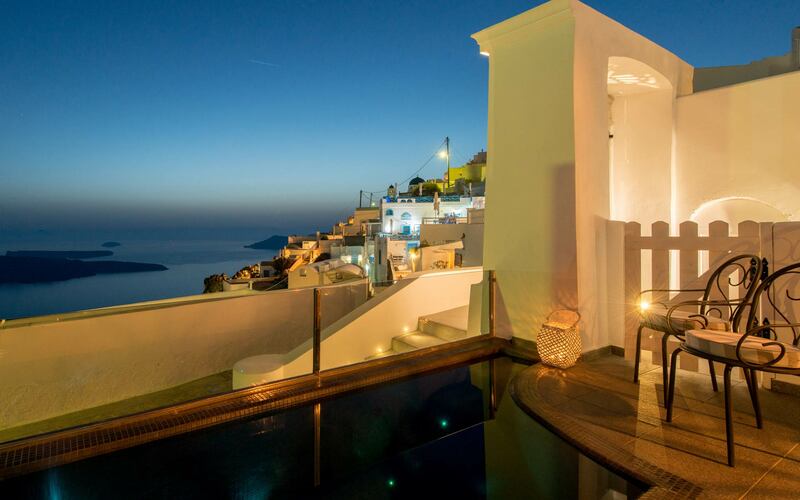 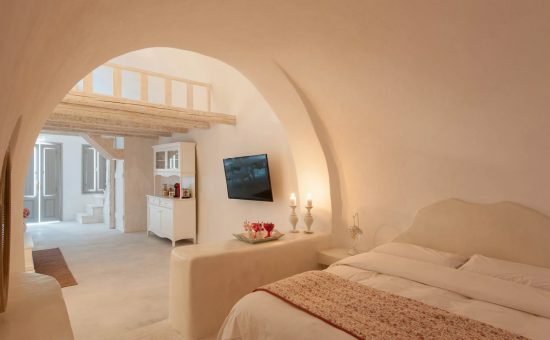 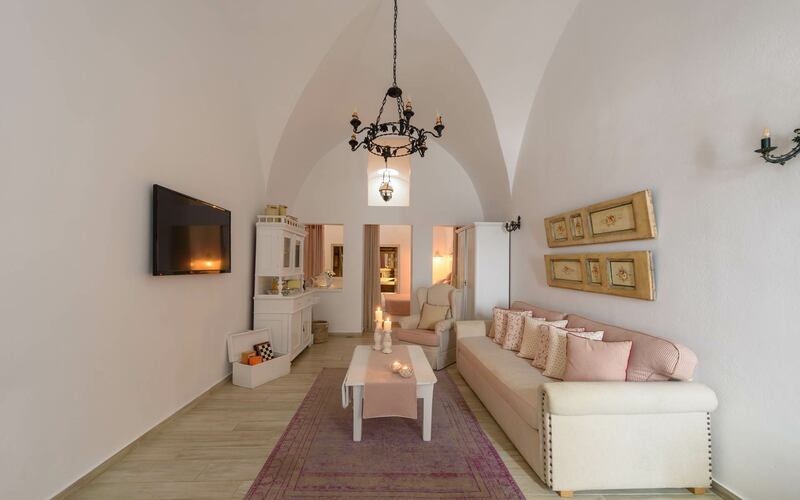 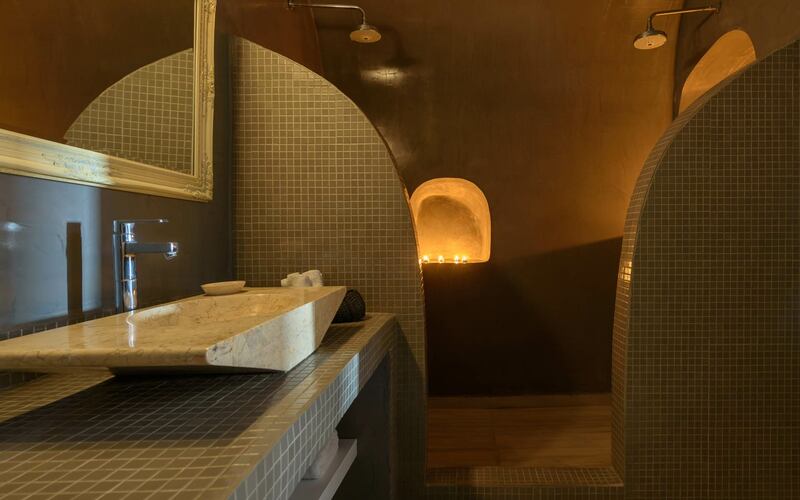 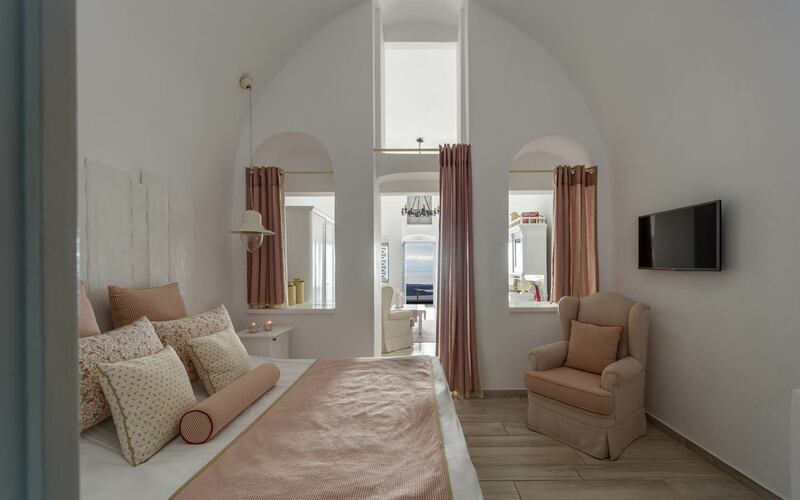 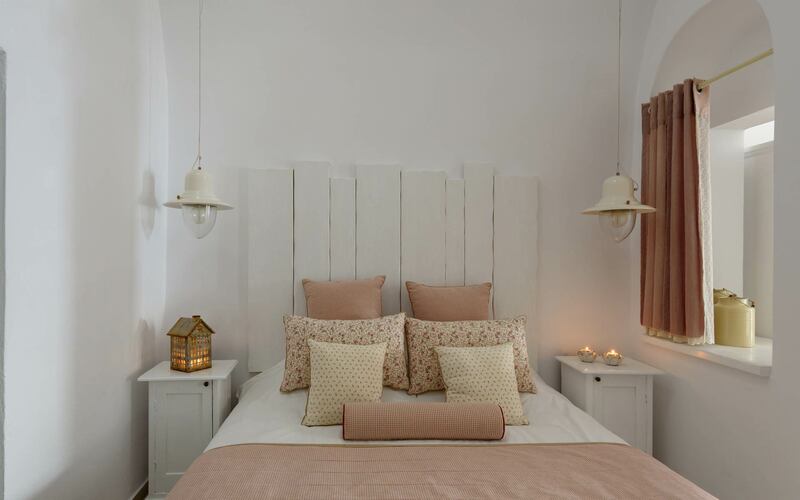 Stay in a comfortable and relaxing environment by booking your accommodation in the Santorini Senses Boutique hotel suites in Imerovigli, above the famous Santorini Caldera. 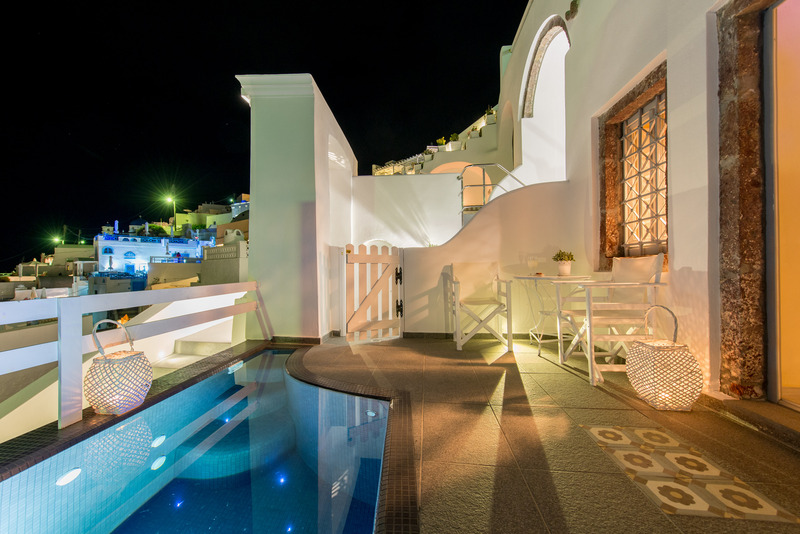 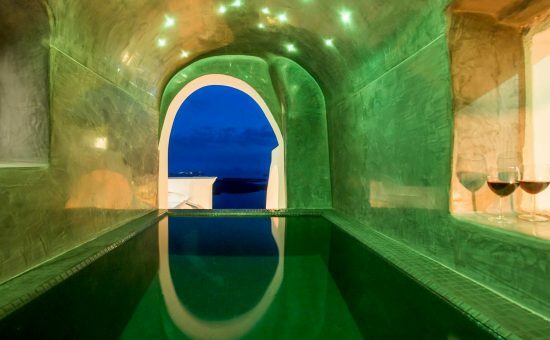 With caldera view & private heated splash pool This suite has a sofa, air conditioning and 50′ Flat-screen TV. 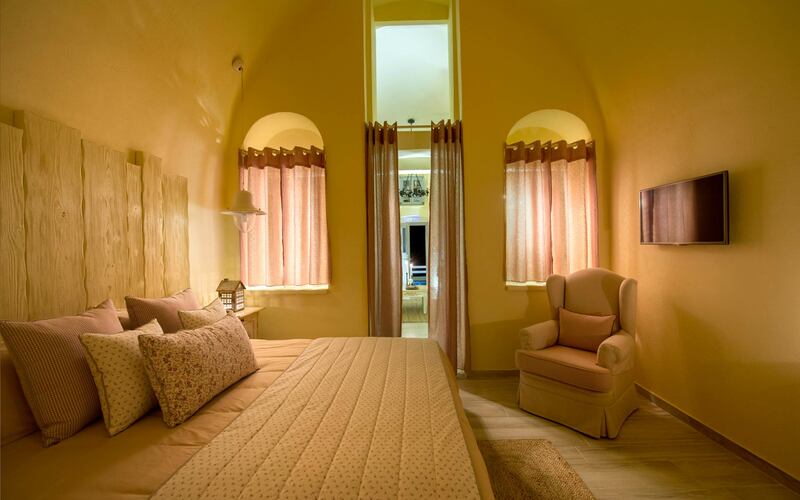 Room size: 55 m² Layout: Detached Bed Size(s): 1 extra-large double bed, 1 sofa bed. 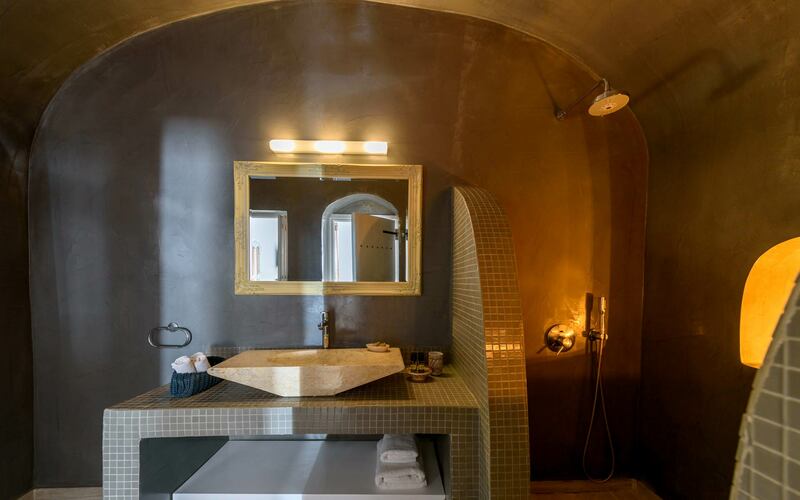 Other facilities and amenities: satellite TV, direct dial phone, fridge, coffee & tea maker, safe deposit box, hair dryer and music.